Pray for Annette MRI test results turn out good and she will have nothing wrong and she will be healthy.Pray for my marriage and family. Pray for all Mother Mary intentions. 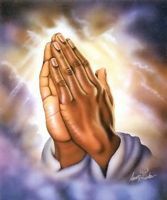 Pray for Don feet,Kayla and baby, Ryan finger.